A villa with a view! It will be difficult to find many properties that benefit from such an incredible location as this one, right at the water’s edge. The living spaces have all been designed to maximise the feeling of space and bring the outside, inside. It is difficult to remain indifferent to the double height living room that has been carefully decorated in a contemporary style. The house also boasts a modern and fully equipped kitchen should you not wish to leave this beautiful property and take advantage of terrace with some food and a glass of wine. The house has four bedrooms in total , one of which is one the ground floor and two beautiful bathrooms. The garden, terrace and pool are equally stunning, very well looked after and ensure guests will probably never want to leave. 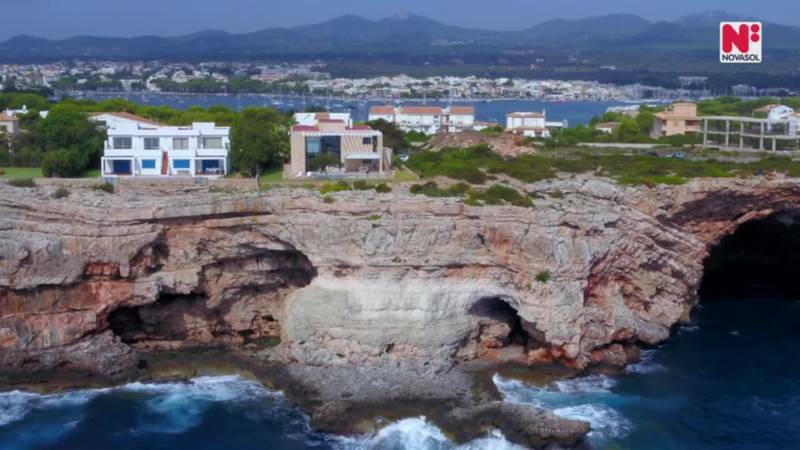 Should you wish to venture into the local area, several sandy beaches and the enchanting village of Porto Colom are close by.